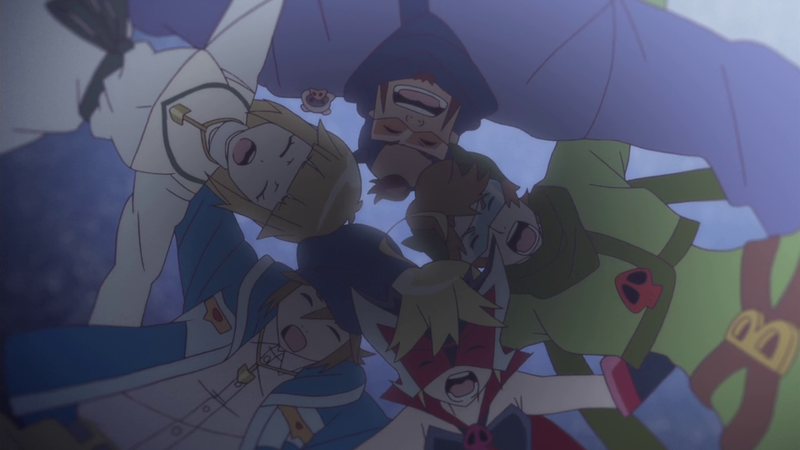 Perhaps one of the biggest breakout stars of the Winter 2015 season, Yatterman Night was a heartfelt romp rife with adventure, unyielding optimism, and bleak dystopia in equal measure. Join Gee, Iro, and Marlin as we talk about what might very well be the best of the 21st century Tatsunoko adaptations. Back in 2014, when all we knew about Yatterman Night was the property it was based on and some key art, there was only so much we could have known about it. Based on prior adaptations of older properties of a similar vein, such as Gatchaman Crowds and Casshern Sins, literally anything was possible. Little did we know that it would go on to be one of the most heartfelt, dynamic, and optimistic shows of the season. It manages a careful balance between the manic energy of old Tatsunoko productions while introducing a heavy sense of bleakness that perfectly compliments the grim dystopian setting. 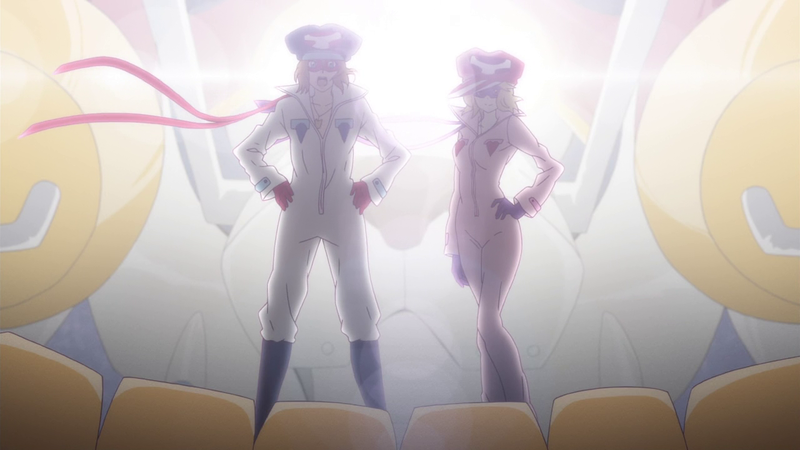 The characters are definitely the highlight of Yatterman Night, easily establishing themselves as the reason to watch. Once again, the show proves that one of its strongest traits is its balance between two spectrums. Leopard is carefully balanced between youthful innocence and the kind of savvy self-aware humor that makes her an amazing “remake” of the original Doronjo. The show does have its occasional skeevy moments, but Leopard is never explicitly sexualized in the way similar young female protagonists have been in recent works such as Zvesda. All in all, she’s a compelling viewpoint character and one I was glad to root for from the very beginning. And of course Tonzra and Boyacky deserve praise for being perhaps the best foster parents in anime in recent memory. They too are expertly balanced between comic relief and concerned parental figures. Galina and to a lesser extent due to lack of screentime, Alouette, are characters who evolve and grow over the course of the series, proving that Yatterman Night could balance its established personalities with ones that would grow to be more interesting as the narrative progressed. Perhaps the best thing that could be said about Yatterman Night beyond its unyielding optimism and energy is its keen competence across the board. Tatsunoko Productions without Ryo-Timo isn’t exactly known for its high level animation, but Yatterman Night is animated with dynamism and smeary kinetics that almost harken to previous joints like Yozakura Quartet and Birdy Decode. It is a shame the final episode should drop the ball in such a cataclysmic fashion, because otherwise, it’s an excellently animated show. Hell the finale itself is amazing from a narrative standpoint, thematically being everything great about the show, only being hampered by the horrible production issues. Hopefully once the fixed bluray release is available, we’ll all be able to watch the finale as it was originally intended. 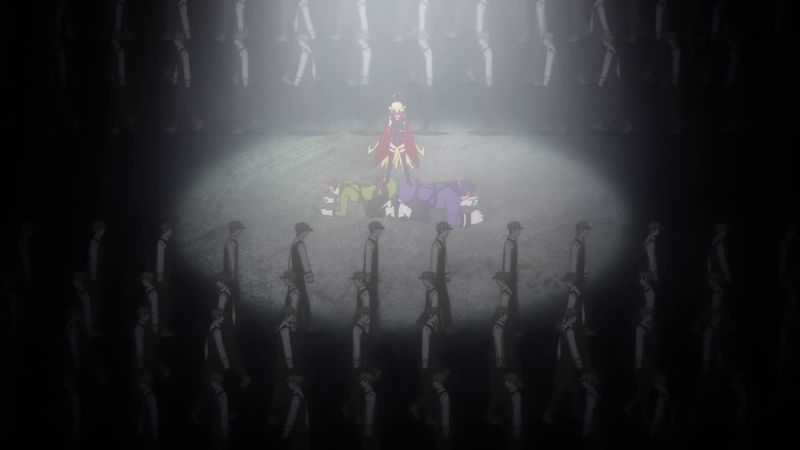 Despite that hiccup, Yatterman Night is definitely one of the highlights of the Winter 2015 season. Balancing its blissful energy and bleak nuance in equal measure, it spins an engaging narrative filled with a cast of compelling characters. It’s a fantastic adventure that’s a joy to watch from start to finish. Going into Yatterman Night, just about the only thing I knew about the original 1977 series was that the villainous Doronbow Gang were the most popular characters. Fortunately, that was all I really needed to know, considering that the new show focuses on their descendants. Banking on nostalgia is a solid strategy nowadays, and it made sense to do a fun perspective flip and focus on the “villains” of the story as they try to fight against the oppression of the “heroes”. What I wasn’t expecting was the genuine depth of emotion Yatterman Night brought to the table by pitting its goofy legacy against its bleak, post-apocalyptic set-up. 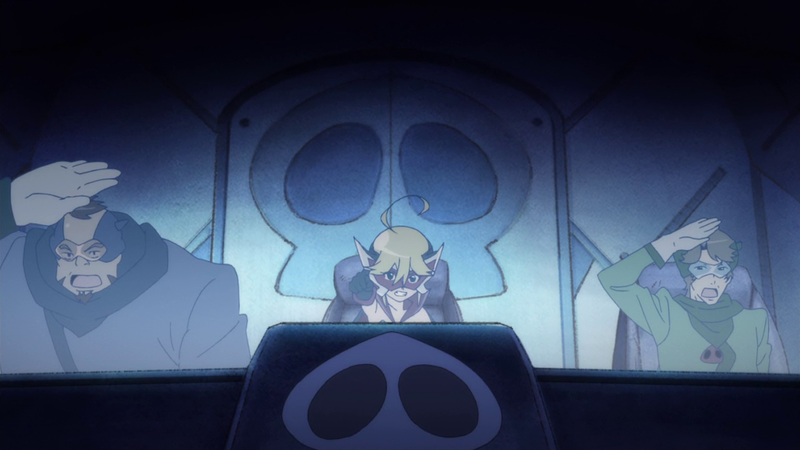 In children’s shows like the original Yatterman or Pokemon, the villains are always cooking up a new scheme before being inevitably defeated and blasting off to do it all again next week. But peg those people as the heroes, and suddenly it becomes something heart-wrenching. Leopard as Doronjo says early in the show that it’s not about winning, but about not losing; even if their new robot explodes, as long as they can escape to fight another day and keep a sense of humor and optimism in the face of the seemingly unstoppable Yattermen, then it’s a victory. It has to be a victory, or else how can they keep going? Yatterman Night leverages this dichotomy to be able to switch emotional tones at the drop of a hat and never quite feel indecisive while doing so. We can have ridiculous episodes about a sumo wrestler with extreme polyuria or a fisherman with questionable sexual orientation (or, most notably, discovering the rusted remains of Speed Racer‘s Mach 5 long after its owner has presumably passed on), and then immediately turn around and ask, “Man, what kind of fucked-up world would create these situations?”, making us cheer even harder for Doronbow to succeed. 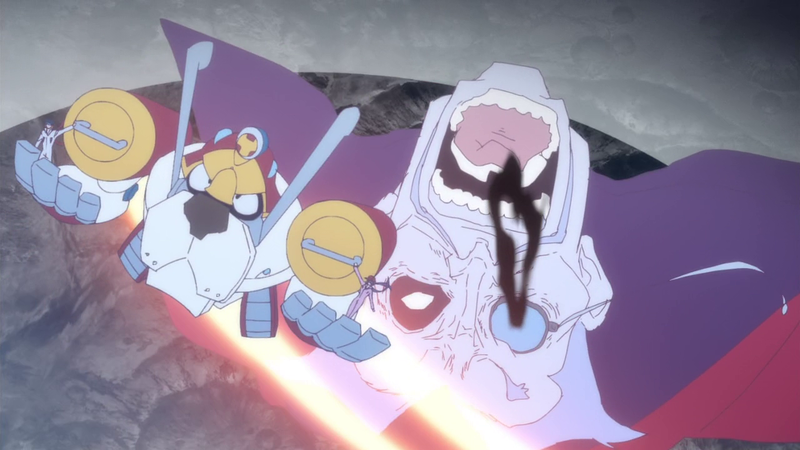 Even the climax of the show somehow makes the silly original Yatterman theme about cheering on a robot dog into one of the most heroic and fulfilling moments in recent memory. Unfortunately, as noted by many, Yatterman Night kind of tripped at the finish line and production issues plagued the otherwise stellar finale, reducing the climactic battle into a series of looped stock footage and missing transitions. If you’re at all considering watching Yatterman Night, I have to say to wait until the corrected BD version is released to see the show as it was allegedly meant to be seen. 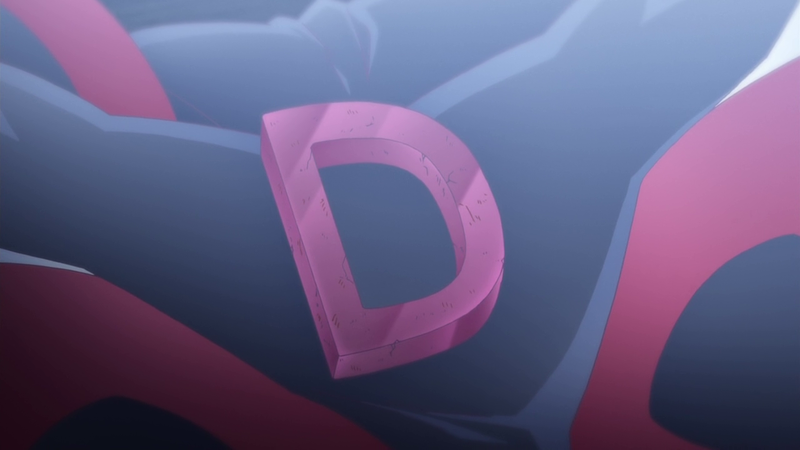 Yatterman was another show this season that I had absolutely no clue what to think going into. From the very first episode it did a good job of engaging its viewer and making them care about the core trio. In equal parts Yatterman Night managed to be a love letter to the original franchise while keeping its dark tone front and center at all times. The biggest thematic element that allowed them to accomplish this was the dirty, barren landscape it painted as its world. Rebooting any old franchise will always be a tricky prospect, and taking such a drastic departure as this one did seemed like a gutsy call for Tatsunoko to make. Granted, its previous reboot Casshern Sins seemed to do pretty well for itself, so maybe they realized they were sitting on a cash cow of reimaginings. It helped that the cast was an easily loveable bunch of oafs. Tonzra and Boyacky were always good for a joke, and boy did some episodes need it. Behind the gags, you could always see just how protective they were of their charge Leopard, trying to make up for the mother she lost. It was always distressing to see any kind of sexualization with Leopard’s role taking over the normally voluptuous Doronjo, but thankfully, the show usually managed to avoid that. Leopard herself was a ball of energy, and her childish optimism was what allowed Doronbow to keep up despite setback after setback. Galina also did a good job of serving as foil for all of Doronbow’s crazier ideas. While this caused him to be a bit of a wet blanket, he slowly grows over the series as Doronjo inspires him and Boyacky and Tonzra teach him how to defend himself and build machines of his very own. I liked how these were always gradual changes, from the rudimentary die and his unsuccessful stint as a sumo wrestler all the way to his donning the garb of Yatterman-1, building a robot of his very own. I know what I loved about Yatterman is when it let itself actually delve into the realities of life in a lifeless dystopia, it really bit into the concept. The story of the husband and expecting wife being ripped apart was by far the most effective. It showed just how dedicated it was to this theme while still trying to keep the lighter parts of Yatterman lore alive. When these episodes rolled around, even the one off characters felt fleshed out and real because of their responses to their situation. Alouette herself is clearly a victim of PTSD. While the show liked to make fun of her obliviousness, you can tell by the end as she dons the gear of Yatterman 2 that all the emotions of loss she’d been suppressing were finally coming to the surface as she accepted her family’s death. Even the team’s victories against Yatterman robots feel off, as they are clearly shown to have individual personalities and act like normal people despite their demented devotion to Yatterman. Yatterman Night, like Bakemonogatari or Eva before it, might become infamous for its production mess. It’s true that when things got bad, they were teeeeerible. However, considering the problems really don’t become egregious until the final act and the plot development up to that point was superb, I find it a small footnote in the overall quality of the show. I loved every minute of watching this bizarre take on such an old and beloved franchise, and no amount of looped fight scenes was going to take that away from me. Once we get a taste of the fixed bluray version, I firmly believe that Yatterman Night will be a show that is remembered for years to come. Thanks for this review. I share your opinion that despite its abundant flaws, Yatterman Night was a great and memorable show, the kind of wistful and heartfelt fable that lends itself beautifully to animation. It was a lovely idea to update an old children’s show in this fashion, and while many people seem disturbed that it didn’t take the route of “heroes living long enough to become the villains,” I think the path that it took was just right. Moreover, I think the animation failures of the last episode were kind of ironic, as Yatterman ran in the same season as the seemingly much more popular Shirobako, which people claimed to love in part for its “realism.” To me, at least, the optimism of Yatterman’s story was infinitely more real than the soft-pedaled anime industry tale in Shirobako – a story which ultimately didn’t allow for any screwed up final episode animation. Funny you mention Shirobako. I watched the last episode of that right after Yatterman’s final episode so I was thinking DON’T LET THAT HAPPEN while they were scrambling to finish the last episode. As everyone else mentioned though, we’re all hoping everything gets fixed in the bluray release and we can all remember Yatterman as a great series without having to add an asterisk at the end. As a whole Yatterman Night outweighs it’s dreadful production hiccup in the final ep. You could see the wonder that was the final ep until it sucked. But ya I will keep an eye out for the bd. Anyhow i enjoyed the show overall particularly the main protagonists. Thanks for following it and the final impressions. I can forgive the ghastly editing of the finale on the strength that 1967’s “The Prisoner” – probably the show that “Yatterman Night” most reminded me of – had much the same issue with its rushed (anti)climax … although I doubt the homage was deliberate. Still, if they want to use that as an excuse, I wouldn’t reproach them. Having only seen a couple of fansubbed episodes of the original “Yatterman” and understanding this was going to be a bleak dystopian affair, I was highly confused how this premise was ever going to work, but in the end I thought it worked astonishingly well. The cheesy, cartoony aesthetics of the 1970s show worked perversely well as the trappings of a ghastly, tasteless fascist regime / religion dedicated to humiliating and gaslighting its denizens, and in the end built up to a satisfying denouement with Leopard and Galina realising the significance of the symbolism, and stealing it back again (the Doronbo Gang finally coming into their own as master thieves) in order to galvanise the downtrodden people’s faith … even if the visual presentation of the revolution left a bit to be desired. Still, I thought they made up for it post-climax, with a very touching ending (and the last words to the original Doronjo, very fittingly). It had its ups and downs but I agree it was a really good series overall. I’m just glad someone still remembers it in 2018. Also I’d recommend both seasons of Gatchaman Crowds if you haven’t seen those, kind of a similar idea of taking an old kids show and using it to address modern issues. Thanks for the recommendation. 🙂 At present I am even less familiar with the original Gatchaman than I am with the original Yatterman, but that can be amended (I knew nothing of Yatterman until relatively recently, when someone posted a Youtube presentation on “Characters You’ve Never Heard Of” featuring Doronjo … rather neatly underscoring the main irony of “Yatterman Night”: whether she is good, bad, competent, or a total bungler, Gan and Ai would be nothing without her). Crowds is a very different experience and doesn’t have much connection to the original, so I wouldn’t worry too much about catching up. It’s set in present day Japan so they’re more direct in addressing the social and political issues they want to talk about, especially season 2. The fixed/completed bluray version of the last episode is floating around somewhere out there, sans subs.